If they ever come out with another edition of "Cinderella: A Casebook," I think they should include Max Luthi's section on the tale-he has a lot of interesting insights. Cinderella is rejected by the people around her and helped by animals and/or (depending on the version) the spirit of her dead mother. Luthi writes, "Human society, even the family, appears as an enemy, nature as a friend. The child who hears this story feels: 'No matter how much I may be slighted by others, I can strust in stronger and kinder forces." Luthi's words are very inspiring-he talks about the hardships people are inevitably to face, yet the possibility of hope coming from a variety of sources-our own qualities as well as outside help. "Man is cast into suffering and want, evidently destined to endure privation, misunderstanding, and malice, and yet summoned to a regal existence." 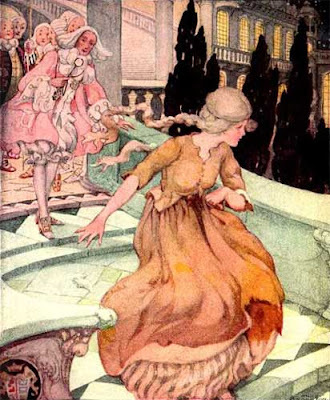 Cinderella, much like Beauty and the Beast, reveals the rift between appearances and reality-the girl who first appears in rags and dirt is revealed to be the most noble of all. 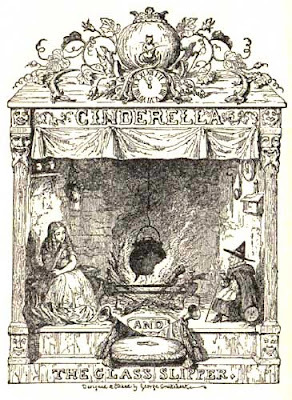 And as is common in fairy tales, Cinderella also focuses on the separation of good and evil-from the episode where Cinderella is told to separate the good from the bad lentils, to the judgement of the evil stepmother and sisters at the end in contrast to Cinderella's reward. 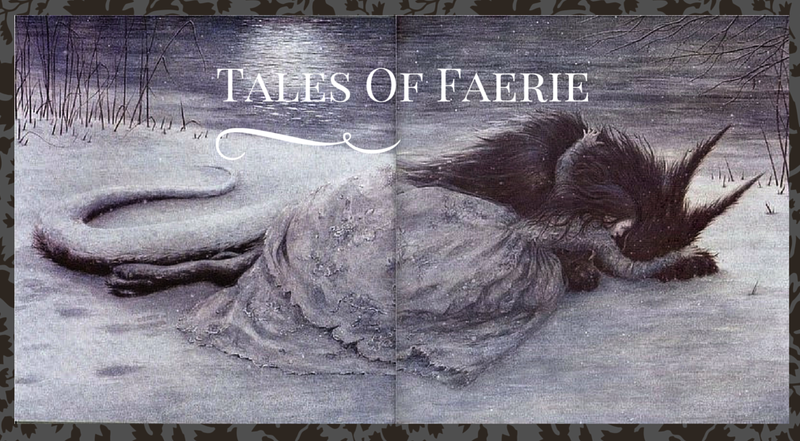 The ending of this tale, and the punishment of those evil characters, varies widely between versions. In the Grimms, doves-ironically a very gentle bird-peck out the sisters' eyes, "without the slightest protest on the part of Cinderella." Luthi points out that "the mutilation of the two stepsisters is in a way the answer to their self-mutilation: they cut off their toe and heel, and then their eyes are taken from them by the forces of retribution." Symbolically, this does make sense. So what about versions like Perrault, where everyone is forgiven without the slightest hint of remorse? Both endings have upset readers-the first for being too violent, the latter for being unrealistic and not as satisfying. Luthi sees no problem with different tellers altering the ending, for it doesn't disrupt the point of the story. "The various needs of the times and of individual people are reflected in the styles of the storytellers and in the reactions of the hearers." Certainly, Cinderella has undergone many changes in the last couple thousand years since we have written records of the tale, yet it still charms and fascinates readers of all ages.